This batten is typically used for domestic applications in the southern states, mainly New South Wales and Victoria. There are two direct fix clips which allow the ceiling to be levelled and lowered below the supporting trusses or joists. This helps isolate the ceiling from structural movement and/or thermal expansion of the supporting structure, and reduces the risk of cracks forming. This batten is typically used for domestic applications in the Northern parts of Australia and features a wider flange each side of the batten which allows for direct screw fixing to the underside of roof trusses and floor joists. This furring channel can be used in domestic and light weight commercial ceilings. 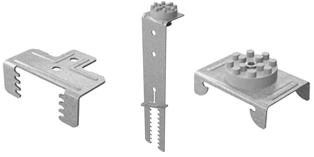 A range of associated clips provide many solutions for fixing this product to trusses, joists and concrete slabs. This furring channel is the preferred product for commercial applications due to its superior spanning and load bearing capacity. A range of associated clips provide many solutions for fixing this product to trusses, joists and concrete slabs. These furring channels are available in 2400, 2700, 3000, 3600, 4800 & 6000mm lengths. 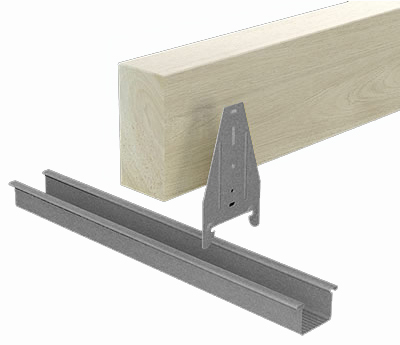 The required spacing of the furring channel or batten will depend on several factors. Maximum spacing is 600mm, however closer centres such as 450mm or 300mm may be required, refer to Knauf Technical Manual. All ceilings are subject to internal wind pressure fluctuations from open windows, air flow from the roof cavity, slamming doors etc. In order to ensure that you are using the correct product and that it is within its spanning, spacing and load bearing capacity please refer to the Knauf Metal Concealed Ceiling Systems Manual.  Refer to Knauf Plasterboard Installation Guide for information on fixing of plasterboard or other ceiling linings.